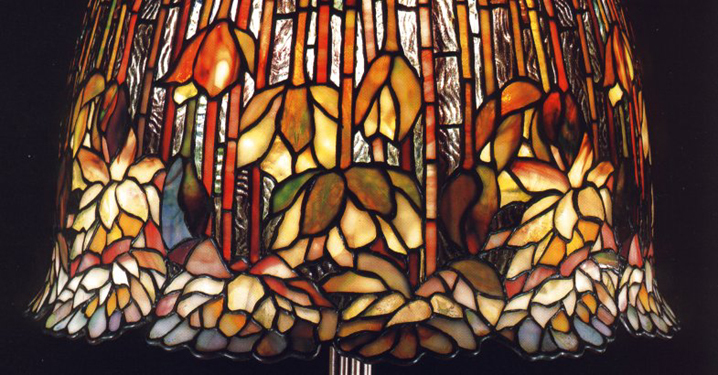 This lamp appeared in the Exhibition book for "Louis Comfort Tiffany at the Metropolitan Museum Of Art". Leaded Favrille Glass and Bronze, 26 1/2" high. ©1999, Metropolitan Musuem, New York, all rights reserved.